Upcoming Mercedes-Benz GLC Coupe has been officially unveiled. Not expected to go on sale until 2017, Mercedes’ rival for the segment-buster BMW X4 will be previewed by a “near-production-standard study” bound for the Shanghai motor show. 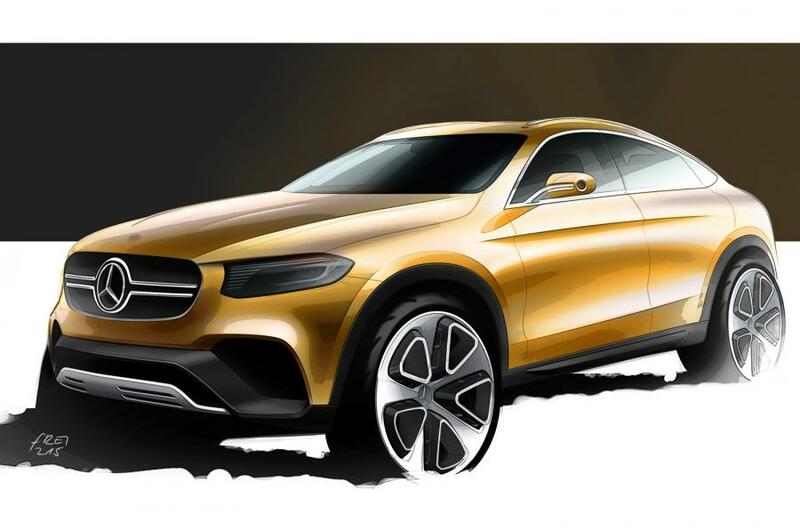 The first sketch portraying the GLC Coupe shows obvious styling nods to its bigger brother, the recently launched GLE Coupe. Mercedes-Benz admits the new sporty SUV aims to reproduce GLE Coupe’s recipe on a smaller scale. The look of the concept also closely previews the final look of its more conventional counterpart, the GLC SUV, as well as the design of future Mercedes SUVs. In fact, this assumption seems plausible since the concept does bear a strong resemblance to the plethora of pre-production GLC prototypes, spied testing. Tech-wise, Mercedes-Benz GLC Coupe will inherit the same platform set to underpin the entirely rejuvenated C-Class family. The engine line is also expected to mimic the one featured by its smaller brother. So, four and six cylinder units and a ‘GLC350′ plug-in hybrid version, available shortly after launch – the same powertrain used by the C-Class’ eco version, matting a 2-liter turbo with 211 HP to a 60 kw electric engine, for an electric range of 30 km. All-new Jaguar XF launches next week. Should the E-Class be worried?